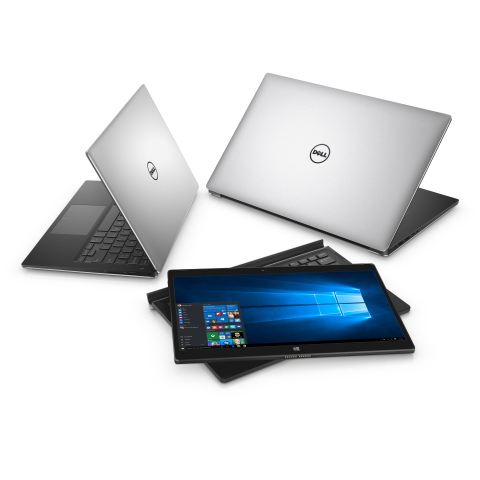 ROUND ROCK, Texas — (BUSINESS WIRE) — November 12, 2015 — Dell is rolling out its best savings ever for Black Friday and Cyber Monday beginning Nov. 25, with select laptops starting at $149.99, 2–in-1s at $299.99, desktops starting as low as $99.99, Alienware gaming PCs starting at $449.99 and tablets starting at $149. Additionally, doorbuster deals will be available on TVs, gaming consoles, monitors, wearables and more. Visit www.dell.com/blackfriday before the big day to sign up to be the first to know when doorbusters are scheduled to go live, and on Thanksgiving when we officially unveil the phenomenal offers that will satisfy holiday gift lists without emptying your wallet. Whether you are buying for a friend, loved one or family member, customers are encouraged to visit Dell.com and act fast as there are extremely limited quantities for each deal. The one-stop shop for all of your holiday technology needs, Dell.com is continually updated to make taking advantage of these deals even easier. As always, all purchases made on Dell.com come with the option of free shipping. Also, SmartSelection systems and accessories ship same dayi when ordered by 3 p.m. ET all the way up to Dec. 23, with free shipping offers to deliver by Dec. 24. For last minute elves, there is overnight shipping available for delivery on Dec. 24 for orders placed by 11 a.m. ET on Dec. 23ii.